Microarray technology continues to evolve, taking on a variety of forms. From the spotting of cDNA and the in situ synthesis of oligonucleotide arrays now come microarrays comprising proteins, carbohydrates, drugs, tissues, and cells. With contributions from microarray experts in both academia and industry, Microarray Methods and Protocols is a turn-by-turn roadmap through the processes necessary to perform a successful microarray experiment. 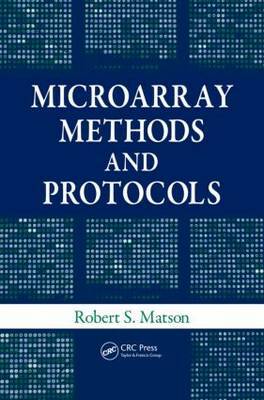 This easy to use book addresses the fundamental aspects of preparing and processing microarrays and bead arrays, labeling, and detection. It also includes a detailed How it Works section that discusses the underlying principles of a number of techniques. Troubleshooting guides offer additional advice for the successful performance of more than 100 protocols in 10 chapters that cover work involving nucleic acids, proteins, carbohydrates, and lectins. With a focus on the preparation and use of microarrays of biomedical relevance, the text describes a variety of microarray formats useful in the assessment of human disease and in genomic and proteomic research. This authoritative resource provides detailed information regarding sample preparation, labeling, array construction processes, substrate chemistry, array printing, and quality control. Originating with the glass microscope slide and biochip, microarray technology is now pressing onward into the nanotechnology frontier. This book is the all-inclusive manual scientists need to take microarray research to the next level of discovery. The book will be useful for researchers in protein chemistry and biochemistry, molecular biologists, and teachers and students of medical schools and universities specializing in microarray methods. --Doctor of Biological Sciences, G. Ya. Wiederschain.